McIntosh launched the highly capable new MP1100 all-tube phonostage. The MP1100 is packed with features including three inputs along with nine profiles (five customizable and four pre-set) that let you program cartridge loading (capacitance and resistance), gain, equalization curves (five curves are included), two noise filters, and a mono setting. The circuit is fully balanced with four 12AX7s per channel in a dual-mono configuration. The MP1100 is very quiet, with a signal-to-noise ratio of 84dB for mm inputs (80dB for mc gain). Of course, the MP1100 features McIntosh’s classic look that remains elegant decades after its introduction. Price: $8000. The companion product, also new for this show, is the D1100 digital linestage. The D1100 will function as a traditional linestage, but also offers McIntosh’s best DAC yet. Nine digital inputs will accommodate any input, and three sets of balanced and unbalanced outputs are provided (one set of each is fixed-gain for home-theater systems). Price: $7000. 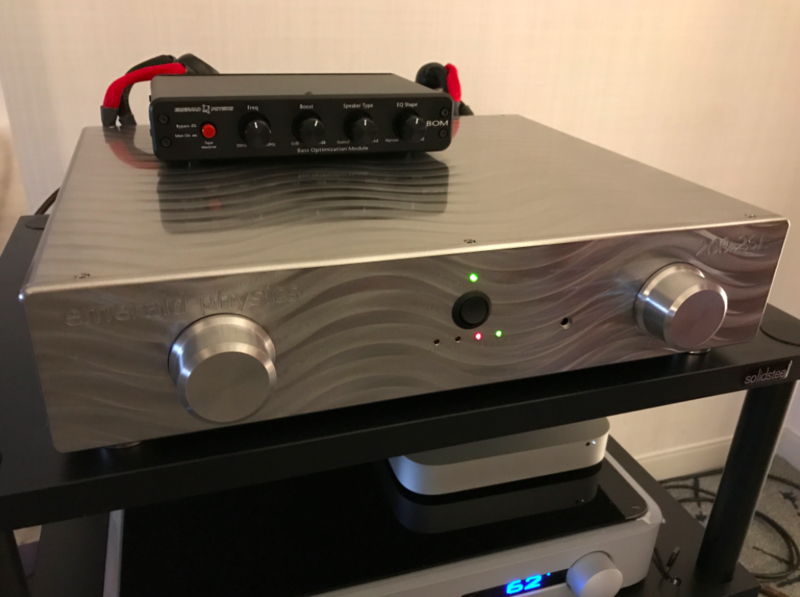 MBL North America presented the West Coast debut of the new Noble line of electronics including the N11 preamp ($14,600) and N15 power amplifier ($17,800 each). The N11, designed by Jurgen Reis (who has been with MBL for more than 30 years), is an unusual design with a single amplification stage that provides no gain. This approach lowers distortion and noise; the N11 is reportedly the most transparent preamplifier MBL has created. The operation, build-quality, and the ultra-cool round remote control with an outer volume knob that rides on precision bearings must be experienced firsthand. A phono input is optional. The N15 monoblock amplifier is based on a switching technology developed by Jurgen Reis called LASA, but in a newly updated form. The N15 outputs a massive 560W into 4 ohms. These electronics, fronted by MBL’s new Noble Line CD-DAC N31 or the United Home Audio open-reel deck driving the classic MBL 101e Radialstrahler produced one of the show’s best sounds. Emerald Physics, known for their high-value speaker systems, introduced an integrated amplifier, the EP200.2 SE. The integrated is based on a switching output stage of Emerald Physics’ own design. Output power is rated at 200Wpc into 8 ohms, doubling into 4 ohms. Although a switching amplifier, the EP200.2 SE is quite hefty, with a massive power supply that would be at home in a traditional linear amplifier. The unit can also function as a straight power amp. 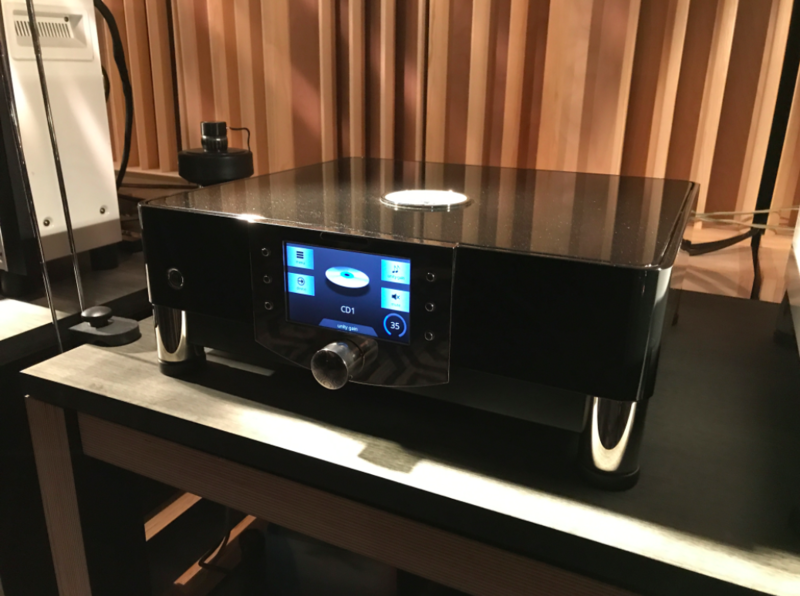 The US-made EP200.2 SE, which sells for $2995, sounded superb driving the new Emerald Physics EP-2.8 speakers ($7500 per pair) via the Emerald Physics Bass Optimization Module ($499) and Core Power Technologies Equi=Core 1800 balanced AC conditioner and Deep Core AC Processor ($995). Founded in 1968, Cambridge Audio is one of the oldest names in British audio. But the company, under new ownership, is returning to the firm’s roots as a manufacturer of good-sounding and affordable electronics. They have set up a new U.S. distribution company, and with this new structure have lowered prices in the U.S. The line begins with the $499 Topaz SR20 stereo receiver—it’s great to see a music-dedicated two-channel receiver again. The next step up is the CXA60 80Wpc integrated amplifier at $749 (an 80Wpc version is $999). The top Azur line includes the 851E preamplifier ($1699) and 851W power amplifier ($1999). These are just the amplifiers; Cambridge offers a wide range of matching disc players, network DACs, and all-in-one music systems. I’m heartened that audiophiles on a budget have such a wide range of affordable products from which to choose. Holger Stein and his wife Gabbi made the trip from Germany for the show, and put on one of the show’s best-sounding rooms. Although far from Stein Music’s top-of-the-line gear, the sound was remarkably natural, dynamic, and alive (as it was in Munich two weeks earlier). The amplifier in the system was the HighLine 1 integrated ($12,800 euros) driving the HighLine S loudspeaker that mates a horn midrange/tweeter with a woofer. The HighLine S can be stand-mounted, or set atop a matching bass module (as it was for the LA show demo). 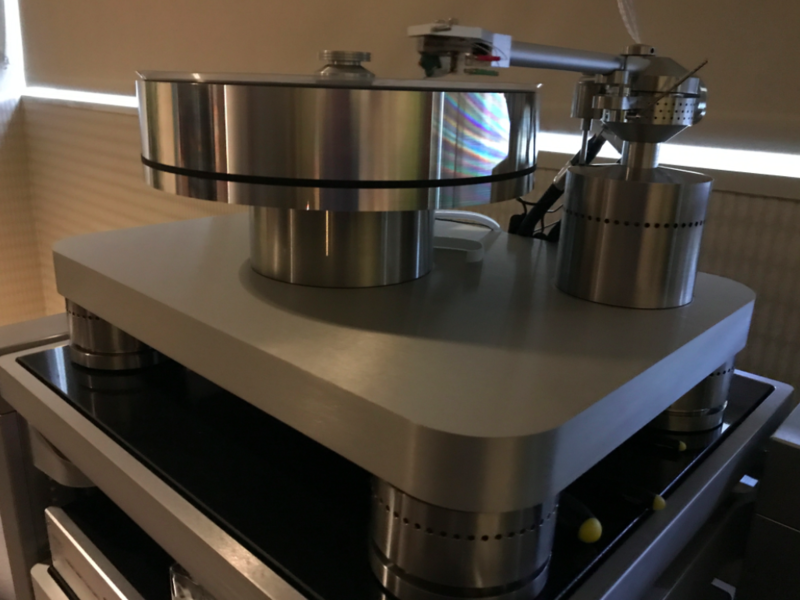 Except for the turntable and cartridge, Stein Music makes every component in the system from the tonearm to digital media player to cables, to room treatments, to accessories. Aaudio Imports demonstrated a superb system of Ypsilon electronics from Greece. The PST0199 Mk.II tube preamp ($37,000) drove a pair of Aelius II monoblocks ($39,000), fronted by Ypsilon’s VPS-100 tube phonostage ($26,000) and MC26L step-up transformer ($6200). I had never looked at the Ypsilon components up-close, but they are extraordinarily built. The whole package sounded superb driving the remarkable new Wilson Benesch Resolution loudspeaker. It was a privilege to put together and moderate the Legends of High-End Audio panel discussion. The distinguished panelists were Richard Vandersteen, amplifier-design legend John Curl, PS Audio founder Paul McGowan, and Bob Stuart, co-founder of Meridian Audio and co-inventor of MQA. These industry veterans shared with the audience their stories of how and why they got started in the industry, as well as their approaches to designing music-reproduction components. 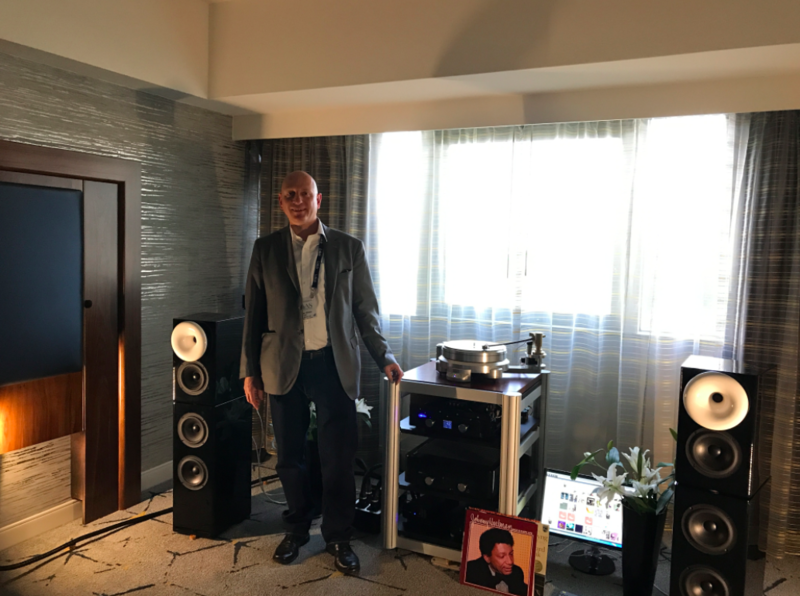 Visiting the room of long-time Los Angeles dealer Optimal Enchantment was bittersweet; the room was one of the best at the show, but a big contributor to that system’s performance wasn’t there to bask in the unanimous accolades—Basis Audio founder AJ Conti, who unexpectedly passed away last year. But AJ left us with his masterwork, the Transcendence turntable. The ‘table marks a dramatic departure from Conti’s 30-year design history; it is built from metal rather than acrylic and features an unsprung plinth. Optimal Enchantment always gets great sound at this show (with Vandersteen, Audio Research, AudioQuest, and Basis), but this year was something special—perhaps the Transcendence supplied the special mojo that put the system over the top. There were so many great-sounding rooms that picking a single one is impossible. So here are my top seven best-sounding exhibits. 1) Optimal Enchantment room with Vandersteen Model 9 speakers, Vandersteen M7-HPA power amplifiers, Audio Research phonostage and preamp, Basis Transcendence turntable with Lyra Atlas cartridge, AudioQuest cabling, and HRS racks. The system had a totally natural ease that transcended hi-fi. 2) Sunny Components’ exhibit of Wilson Alexx speakers driven by T+A PA3100HV integrated amplifier(! ), Meridian Ultra DAC playing MQA files, Brinkmann Bardo turntable and arm, HRS racks, all connected with AudioQuest cables and powered by AudioQuest Niagara AC conditioner. Hearing Peter McGrath’s wonderful master recordings, improved by MQA and reproduced by this system, was the highlight of the show. 3) MBL 101e speakers bi-amped with the new Noble Line electronics and digital front-end, with United Home Audio open-reel tape for good measure. One of the best showings of the always-exceptional MBL 101e speakers. 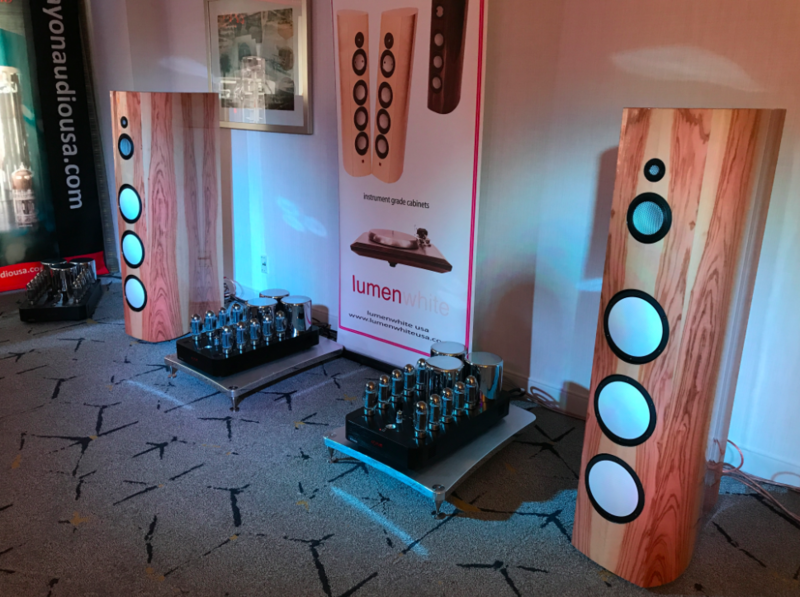 4) USA Tube Audio’s demonstration of the new Lumen White 25 Generation 4 speakers driven by Ayon electronics was spectacularly great, with wall-to-wall soundstaging. Close your eyes and you’d never know that you were in a hotel room. 5) Magico S5 MkII driven by VAC in the Scott Walker Audio room was stunningly spacious and dynamic; Magico’s own exhibit of the S3 MkII was also superb. 6) Stein Music’s most modestly sized and priced system delivered exceptionally lifelike dynamics and tonality. Stacked Magnepan 0.7s with a 1.7 acting as a center channel. The growing tide of companies joining the MQA bandwagon. Berkeley Alpha Reference DAC Series 2 when MQA decoding becomes available for it later this year.